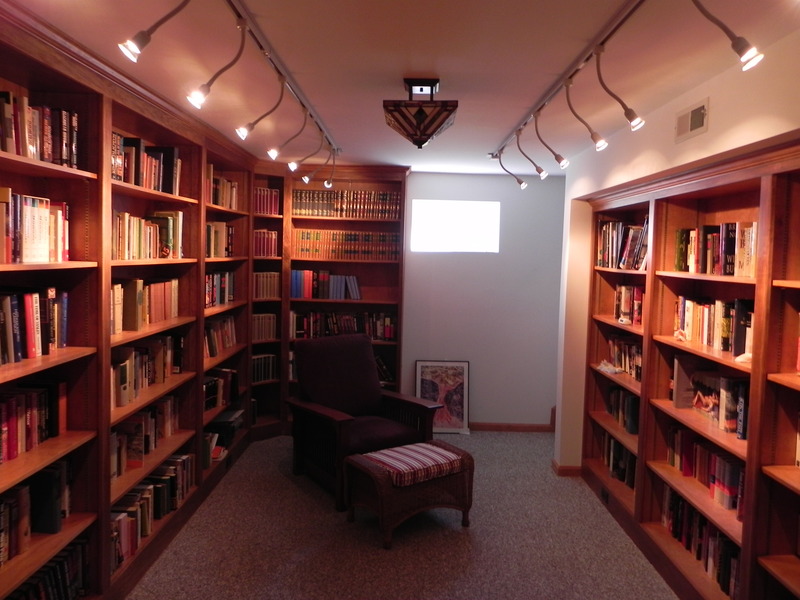 The main library in my house. In case anyone is interested, this is the reading list that I’m more or less using. I’m starting with the Freshman year, and working my way through to the Senior. What’s on the list is the stuff that I haven’t read, or stuff that I thought I should re-read. If I’ve read it, I’ve taken it off the list. There’s other stuff that I’ll be reading as well that’s not on the list. Some of this is literary, such as Rilke’s Letters to a Young Poet, which I bought yesterday, and some is sci-fi, such as John Ringo’s A Deeper Blue, which I also bought yesterday. Oh, to see the reading list, click on the picture of my library up above.